ATLANTA -- The 911 call made by a terrified mother during a home invasion Sunday night has been released. 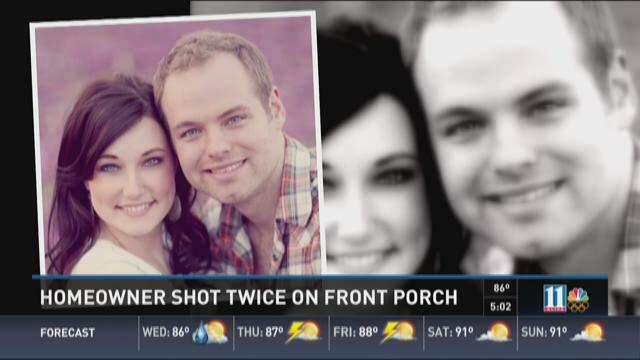 Whitney Lash made the call while holding her infant daughter, as men broke into the house and shot at her and her husband, Michael. The family had just returned home from a vacation. ATLANTA -- A former prostitute will spend the rest of her life in prison after being found guilty of robbing and killing a client. Jurors returned guilty verdicts Wednesday against 40-year-old Tamieka Gamble on several charges, including murder, felony murder, aggravated assault, false imprisonment, criminal attempt to commit armed robbery, burglary and weapons offenses. Gamble and co-defendant Mark Ross were arrested last year in the cold case murder of 64-year-old Edward Jowers. The victim was found Aug. 9, 2010, bound and gagged on a bathroom floor inside his unit at the Magnolia Park Apartments in northwest Atlanta. ATLANTA (WXIA) -- When you ask about the city's West Midtown community, the responses sound a lot alike. "Great restaurants, great bars, great coffee shops," said one visitor. "Nice apartments -- I feel pretty safe here most the time," said another. That wasn't the case a few years ago. Kevin Mobley bought a house in the area in 1995 and never left. "It's completely different. I'm talking 100 percent. This neighborhood, all around here was mostly depressed, pretty run down. Now it's just the hottest area in the city," he said. But when blue lights responded to a double shooting in the heart of it all at Marietta St. and Howell Mill Road on Monday it brought back memories of crime. "Back when I was here' 95 it was constant," Mobley said. ATLANTA – Police have made a second arrest in the death of an 81-year-old woman who was shot while sitting on her porch. Mildred Martin was shot and killed on July 27 as she played cards with her neighbors in the 900 block of Proctor Street in northwest Atlanta. On Tuesday, Atlanta Police said that Dominique Lamonta Bryant was arrested on a felony murder charge in Martin’s death. Bryan is being held at Fulton County Jail. Last week, police announced that Johnny Maurice Avery was arrested in connection with the shooting. ATLANTA (WXIA-TV) – Police said Tuesday that two men, shot in a blizzard of gunfire while they were inside a Jeep at Northside Dr. and 11th St., NW, are not cooperating with investigators, except that one of the men claims they’d been with rapper Ant Glizzy at 11th Street Studios, and were about to drive back to Washington, D.C., the rapper’s hometown, when they were shot. Beyond that, police said, the two victims and others in the Jeep will not disclose any information about themselves or talk about who they think fired all the shots. Police said a security guard who works at a business on 11th Street saw the shooting. In addition, possibly two security cameras in the area might have recorded what happened.